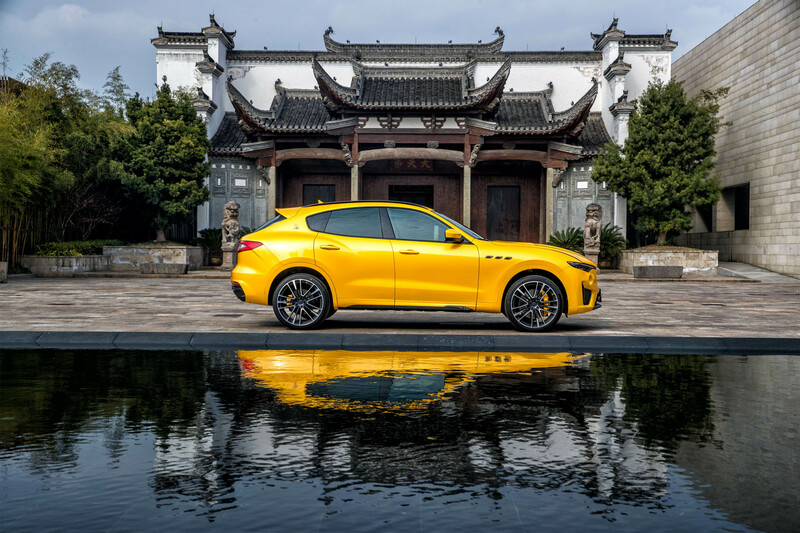 Maserati is taking advantage of the Shanghai Auto Show, the most important event in all of Asia, to showcase the SUV Levante, the flagship of the fleet, Quattroporte, and the Ghibli sport sedan in the MY19 version. Making their premiering appearance in the Asian market, the Zegna Pelletessuta™ interiors in the Quattroporte MY19 S Q4 GranLusso feature a unique, new material, which has been created exclusively for Maserati by Ermenegildo Zegna. Maserati is continuing to pursue a program focusing on customisation and showcasing the best of Italian-made products. 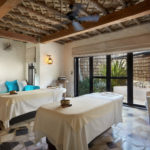 The brand hosts in its booth long-time partner, Ermenegildo Zegna, along with De Castelli and Giorgetti, outstanding representatives of Made-in-Italy excellence that’s known throughout the world. At the opening of the show, Maserati will be unveiling a new car model created by the Centro Stile Maserati in collaboration with a special customer. 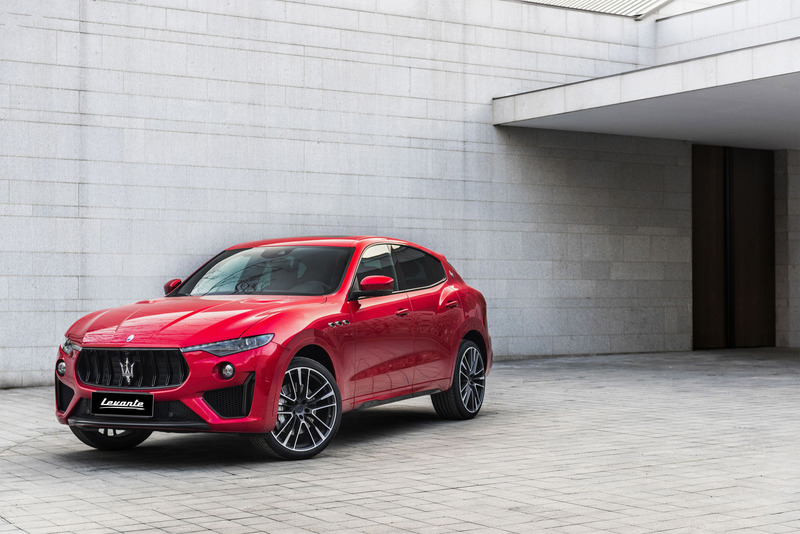 At the Shanghai Auto Show, Maserati will be officially presenting its MY19 range to the local market, including Levante, Ghibli and Quattroporte, which thanks to a meticulous restyling initiative combine targeted style updates and exciting new contents. Visitors will find a Quattroporte S Q4 GranLusso displayed at the Maserati booth. It will be characterized by the Blu Sofisticato colour combined with black interiors showcasing the new and exclusive Zegna Pelletessuta™ material, enhancing the car with an extremely distinctive look. The 21” Atlante alloy rims boasting spiffy blue brake callipers and sporty seats underscore the dual aspect of this particular car, sporty and elegant at the same time. Exclusivity or excellence, one cannot overstate the special importance of this flagship model for Maserati. Its origins go back to the first series, designed in 1963 to be the fastest sedan in the world. The Trident SUV, Maserati Levante GranLusso MY19, is featured in the booth with a three-layer Blu Nobile exterior colour treatment. This special painting process yields a much deeper chromatic effect. The 21” Helios rims with dramatic black brake callipers. The interiors are upholstered with “Pieno Fiore” leather, a full-grained leather without equal in the automotive industry, due to its naturally supple, soft feel and the way it becomes even more beautiful over the years. Completing the Maserati range, Maserati presenting the Ghibli GranLusso with Blu Nobile for the exterior. The interiors are in the luxurious black “Pieno Fiore” leather with contrasting grey stitching and headlining in grey Alcantara. The 20” alloy rims are Teseo. The GranLusso trim adds a further touch of sophistication to the fleet of Maserati cars, thanks to the use of exclusive Ermenegildo Zegna silk, open-pore burl wood trim for the dashboard fascia and the leather steering wheel. As a standard feature one will also find 12-way power adjustable Comfort seats with memory and the peerless Premium Harman Kardon audio system. The pedals and steering wheel adjust electrically, as does the sunblind for the rear window, the Soft Close door closure system, and the lockable glove compartment in front of the passenger. 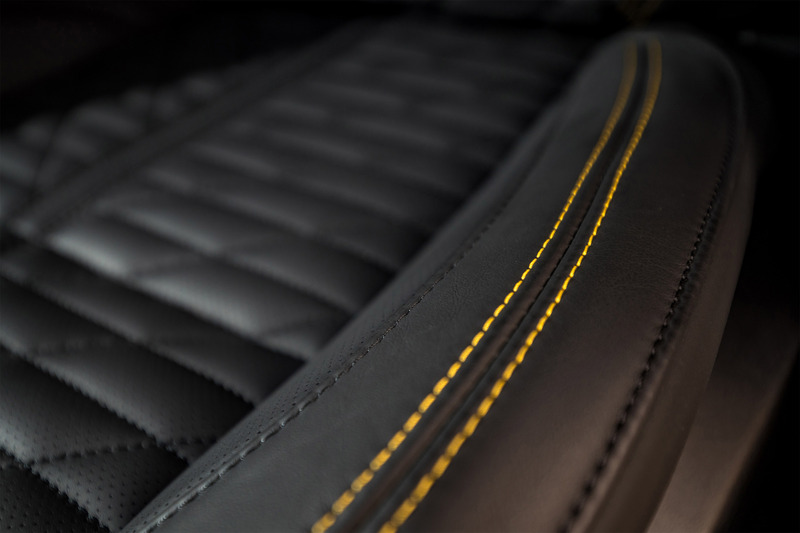 In line with Maserati’s tradition of excellence, customers are offered a wide range of interior materials from which to choose, the most luxurious of which would be the natural “Pieno Fiore” leather, available in Nero (black), Rosso (red) and Cuoio (tan) for the comfort and sporty seats, each one with its own stitch options. The MY19 range is introducing important new upgrades, making the Maserati cars even more fun to drive. The gearshift lever has been redesigned with a short-stroke system, more intuitive gearshift pattern and improved functionality. The driver now has the option to use it in automatic or manual mode simply by shifting the lever from the right to the left, while a new “P” button effortlessly settings the transmission in parking mode. With the new gearshift lever, the driving modes cluster on the centre console of all three models is even user-friendlier. Levante, Ghibli and Quattroporte share the same MTC+ infotainment system, which is based on a high-resolution 8.4” multi-touch screen and a double rotary knob on the centre console. The human-machine interface has been further improved for MY19 with updated display graphics and improved climate system ergonomics. The airflow distribution control, which is fully separated for driver and front passenger, has been revised and offers additional customization options. Maserati is finishing the interiors of all three models with “Pieno Fiore”, full-grain leather without equal in the automotive industry, thanks to its natural softness to the touch and unique characteristics. The “Pieno Fiore” leather upholstery comes in three colours, featuring tone-in-tone or contrast stitching for the seats and double stitching for the door panels. Maserati is also offering two brand new high-gloss interior veneers for the Ghibli and the Quattroporte and three for the Levante. Each Maserati model boasts a dedicated colour selection, which is continuously refreshed. For MY19 there is a choice of ten body colours for the Quattroporte and eleven for each of the Ghibli and Levante models. In the wide collection of alloy wheels designed specifically for every single Maserati model, there are five brand new designs in the MY19 catalogue in 20 and 21-inch sizes, two for each of the Levante and Quattroporte models and one for the Ghibli.